Candidate X did well at OCS physically, but ended up dropping with a new appreciation for his own strengths and weaknesses. He has graciously accepted an invitation to conduct an interview with the OCS blog as he prepares for another run at the grueling course. How far into OCS did you get? While I wasn’t able to successfully complete USMC OCS by our end date in Spring of 2013, I was able to make it to the decision making phase, and lasted to the end of week 6. I hope that my post will help any of you who are currently in the process of being selected, or have already been selected. What were your biggest surprises of OCS? One of my biggest surprises when I arrived at Officer Candidates School this past February was how small my starting class size was. Class 212 started with around 133-145 United States Marine Corps Officer Candidates which is extremely small, we consisted of one company or Charlie Company, and we were split up into three platoons which in the beginning numbered around 43-45 candidates. For this class each platoon was given 5 Instructors which consisted of three sergeant instructors which were for the most part the rank of Staff Sergeant, one Platoon Sergeant which was the rank of Gunnery Sergeant, and one Platoon Commander which was the rank of Captain. If you don’t know already each of these instructors will be in your squad bay, and each of them usually play a different role. For example while all are there to screen, teach, and evaluate you, you will find that one of them will be there to simply create chaos, another will be your father figure (most likely the platoon commander, or the platoon sergeant) and one you will identify as a teacher. Another surprise I had was how many other candidates were there for their 2nd/3rd times, as well as the number of Candidates who were already priors or active duty Marines. In my platoon which at its height numbered 42 Candidates, there were about 15 who were prior Marines most ranking at Sergeant or Staff Sergeant, and our Company had about 40 priors which is a lot considering that each platoon had on average 42 candidates after the first week, and that number quickly dropped to an average of 38 by the third week. If you are like me then you are fresh out of college, and you have zero military experience, you are also most likely one of the youngest candidates there especially if its a Winter/Spring training session. What were your biggest challenges of OCS? The biggest challenge for me was succeeding on my Leadership Billets as Candidate Platoon Sergeant, and Candidate Co. First Sergeant, I also struggled with the 5 paragraph order on LRC (leadership reaction course) one and two. I cannot stress enough how important it is to understand the five paragraph order, as it is the foundation of almost everything you do at OCS. In fact understanding the five paragraph order or brief when it is given to you by an instructor, and then being able to give that brief to your fire team, or squad is one of the most important concepts to grasp while at OCS, and it is important that you understand this before attending OCS if you plan to succeed on your Leadership Reaction Courses, and your Small Unit Leadership Evaluations. Did you have any favorite parts? Land, day and night, navigation are actually pretty enjoyable, the material is basic, and with proper study this should be a skill that you learn pretty quickly. It’s also one of the useful skills that you will also acquire while at OCS. Another pretty cool part was the Tarzan Course/confidence Course which includes a Zip-line, and as long as your not afraid of heights it’s essentially an over-sized jungle gym for adults. Also the water portions/combat portions of OCS are pretty fun provided it’s not cold outside, in which case you need to make sure you can handle freezing water for an extended period of time. By handle I mean you need to be able to avoid going into shock, and perform your duties as a member of your fire team. When I was at OCS many candidates lost focus because they went “internal” as the staff puts it, and this will reflect negatively on your grade if you show weakness. Also we had many candidates go down due to hypothermia (not everybody is the same, so if your body is unable to retain heat normally this may be a disqualifying factor for you at OCS), and some failed the course as a result only to have to make it up on an even colder day. So as with everything else you do at OCS do it right, and make it through the first time. What preparation was helpful for you? Running & more running, especially on trails/up & down hills. You will do a lot of running at OCS, and you will be expected to keep pace, and at times lead runs so it’s best you arrive in great running shape. 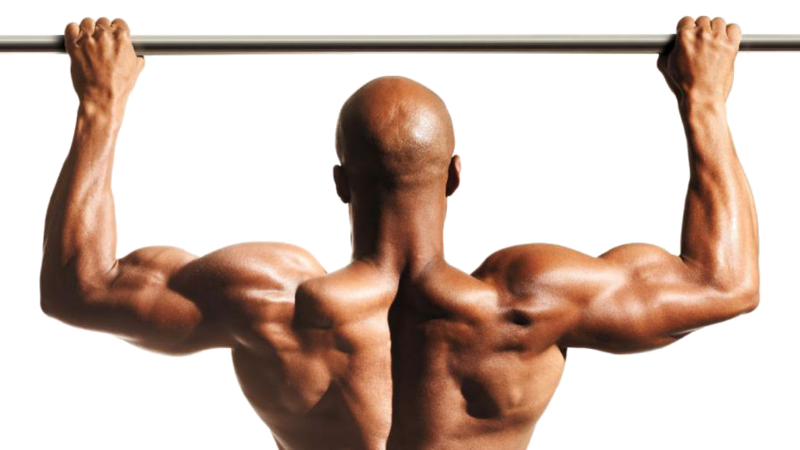 Also if you are weak at pull ups or sit ups you need to master that as you should anyway because it is part of your PFT. Also go online, and find the OCS website, and download the study material i.e. (General Marine Corps History/Weapons info etc) the more you know before the better because studying will cut into your very limited sleep time. Any advice for others who would attend OCS? 1.Do not run in boots before OCS, and if you do make sure you are doing so sparingly as this will cause unnecessary strain on your joints prior to training where your body wont have time to heal. 2.Make sure you understand the five paragraph order & Rank Structure. 3.Make sure to say “Good morning (insert time of day)/(Insert Rank of enlisted/NCO you are addressing) if an Officer it’s just (Sir). You will need to greet every staff member constantly with the proper time of day/their proper rank as loudly as possible if you are walking by them. Failure to do so will immediately draw attention to yourself, and you will immediately be yelled at also remember if there is a group of staff 2 or more you just say Good (time of day) “Gentlemen”. If you are able to properly do this before the staff starts to enforce it on Pick Up it should help you remain under the radar. However this can prove difficult at times in the beginning simply due to the chaos of the environment however you should have time during the first week to learn your Instructors names/ranks as well as the company staffs names/ranks, & I highly advise you to do so. 4.Understand, and know the M16-A4 Service Rifle, review its parts, and watch a Youtube video on how to assemble, and dis-assemble it. 5. Don’t go overboard buying gear particularly items such as boot socks, underwear, athletic socks. All of these things will be issued to you in bulk you will also be issued two pairs of boots, along with one pair of boot insoles (Superfeet) so you don’t need to purchase insoles if you don’t want too, nor do you need to bring your own boots although it can be useful to have an extra pair for inspection. Small fabric scissors are a life saver as is the labeling tape you will be issued. As you will constantly be re-taping, and marking gear. In fact you should go through your candidate regulations, & see how to properly label your gear and create multiple labels during your free time so that you can better use your time in the future. 6. Bring flash cards-it will be the easiest/most effective way to study. 7. Always move with a purpose never slack because you think you can get away with it remember you are part of a team at OCS, and the team suffers if you slack, also you are graded by your peers so never do anything that you wouldn’t when an instructor is not present/it is important to treat your fellow candidates with respect. Correct others if they are making mistakes but try to do so in a respectful/positive manner calling people out is only necessary in extreme circumstances remember you will have plenty of Instructors yelling at you, and your fellow candidates constantly the last thing your platoon needs is another instructor. 8. Assist your fellow candidates, never stand around if you finish with a task early. Remember unselfishness is one of the 14 leadership traits.